Audiotalaia is really proud of presenting the work of Alex Alarcón aka Sustainer. We are happy to host a small part of the extensive oeuvre done by this artist from Barcelona. For this 30th release on Audiotalaia we have a two pieces EP keeping the essence of sustainer's project. There is a topic, a concept a theme and there is a kindness composing all those sustained lines of drones that had become a trade mark for Alex Alarcón. A few years ago Alarcón recorded a wall piano. He asked a friend to play sustained notes allowing the sound to disappear slowly. After those sessions recording the piano, Alarcón had been using that material in some live sessions and concert. Finally after many years he has recovered that material and used to produce a diptych that shows the strength and the vision of true experimenter in ambient music. The album has been mastered by Ian Hawgood, musician and founder of Home Normal Label and Tokyo Droning among others. All tracks arranged and produced by Alex Alarcón. Sound sources recorded from a broken piano. 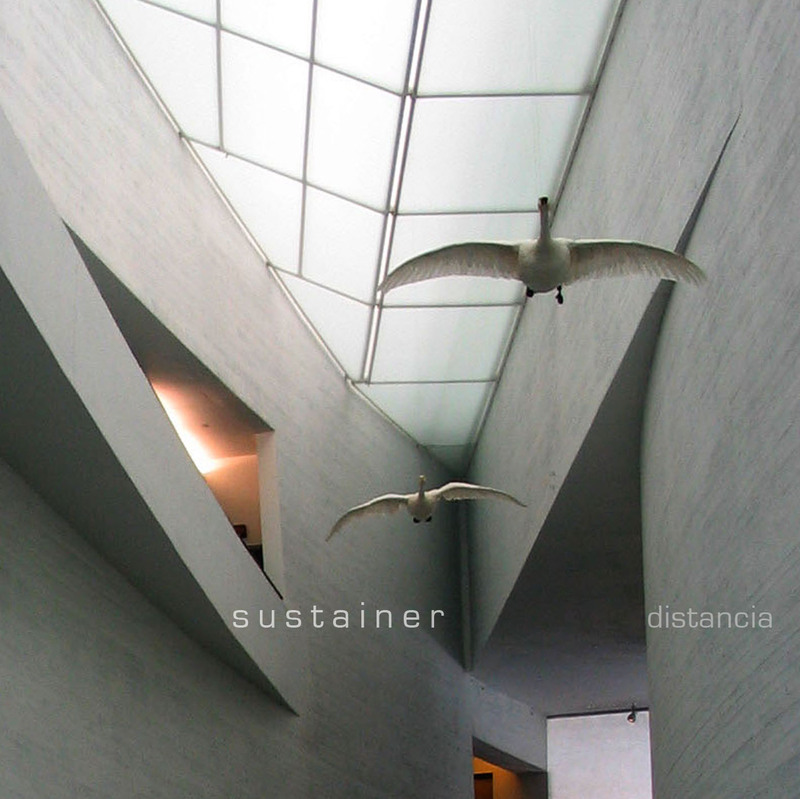 "Friends, Followers, Fellows: When I clicked the download button of the first track on Sustainer's new 2-tracker 'Distancia' this morn, it was like the Lord himself spoke to me. I agree this sounds a bit too theatrical, so I tell you what really happened. I read a Facebook entry from the very talented Mr. Ian Hawgood himself telling me that he recommends an ep he mastered for the netlabel Audioitalia. I'm a big fan of Ian's work, so I lost no time checking 'Distancia'. I always love it when I can preview the tracks on a realease before downloading (that's a must for you netlabels out there actually - I won't download if I can't preview to tell you the truth! ), so I listened to Distancia A, a composition that runs for over 12 minutes. It was 8 in the morning, and because I'm living next to the local church the bells just started ringing - as they do every morning at that time. To be honest, I didn't realize they were ringing for a few minutes, as they blended perfectly with the beautiful drones and pads on Sustainer's tracks. It wasn't until I turned the volume up a bit because I liked what I heard so much that I noticed the bells of St. Mary didn't get louder with the music. But that didn't matter anymore, because Distancia A wonderfully melted into some pearly piano chords and distant string arrangements at that time. There's a lot to explore in both tracks - so I second Ian's praise of this fine Barcelona based artist (obviously there are a lot of great Ambient musicians in Barcelona these days - Hello Mr. Fonseca!). If you check Sustainer's site at MySpace, you'll find out about his recent releases on excellent netlabels like Escala Red and Thinner you should consider downloading as well. Oh, and excellent mastering, Ian!" "El trabajo de Alex Alarcon aka Sustainer merece una mención especial. Ultimamente esta publicando excelentes trabajos en distintos netlabels. Aquí se comento su trabajo para addSensor: "Puerto ep", al que le han seguido: "Vertice" en escala, "Utopia" en Chiennoir y ahora este "Distancia" para audiotalaia. Pese a que en un principio Alex se intereso por los aspectos mas bailables de la electrónica, desde 2008 viene desarrollando un ambient minimalista, meditativo e introspectivo, con lentos y sutiles desarrollos y cuyos principales elementos son improvisaciones y sonidos aleatorios obtenidos de sintetizadores modulares así como instrumentación acústica y grabaciones de campo. En esta ocasión, los sonidos acústicos han sido obtenidos de un piano roto. El álbum se compone de dos piezas de 12 minutos aproximadamente cada una, masterizadas por Ian Hawgood." Distancia by Sustainer is licensed under a Creative Commons Reconocimiento-NoComercial-CompartirIgual 3.0 Unported License.